With $162 million grossed worldwide after five days, “The Nun” is on pace to become the highest-grossing film in the “Conjuring” universe, and Mexican and Latino moviegoers are playing a big hand in the horror film’s robust start. 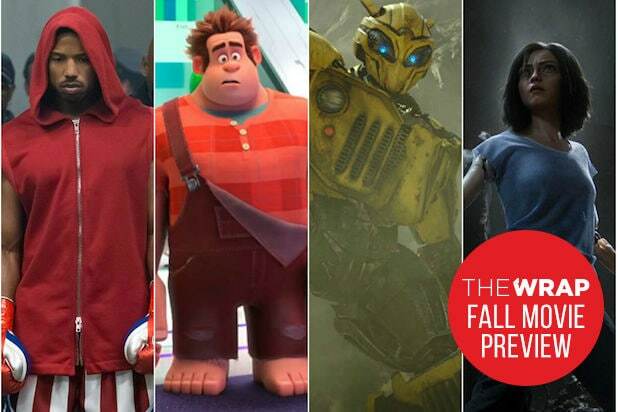 According to Warner Bros. and comScore data from the film’s $53.5 million domestic opening weekend — the best for a “Conjuring” film and second-best for a September release — 36 percent of the audience was Latino, up from 17 percent for “The Conjuring” and 26 percent for last year’s “Annabelle: Creation.” On top of that, Mexico was the top overseas market with $10.7 million grossed. As the “Conjuring” universe’s box office numbers have grown, so has its Latino fanbase. ERC box office analyst Jeff Bock notes that while he wasn’t a major part of the marketing, the presence of Mexican star Demian Bichir in a lead role certainly helped increase interest in the film in Mexico, while the religious imagery that has run throughout the “Conjuring”-verse and becomes overt with “The Nun” was also a likely draw with Catholic Latinos. The result was a marketing campaign led by the multicultural division of WB’s marketing team focused on states with large Latino populations, which in turn helped “The Nun” over-index in Texas and other border states. 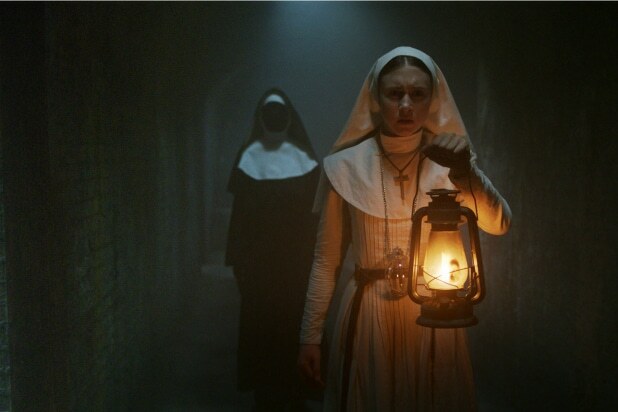 The opening weekend for “The Nun” was almost 30 percent higher than that of the first “Conjuring,” and gave WB the top spot on the box office charts for the fifth straight weekend. It also nearly became the first studio in more than 25 years to hold the top two spots for four straight weekends, though STX’s “Peppermint” edged “Crazy Rich Asians” for the No. 2 spot this past weekend. But while the marketing was strong, Blackwood and Brener also note that the film’s titular villain, Valak, was a character not based on the files from paranormal investigators Ed and Lorraine Warren that spawned the “Conjuring”-verse, showing that the franchise’s fans are ready to go wherever series creator James Wan takes them.